SOUTH JORDAN, Utah -- Police are investigating whether a Tesla sedan's semi-autonomous Autopilot feature was engaged when it rear-ended a fire department truck in Utah. 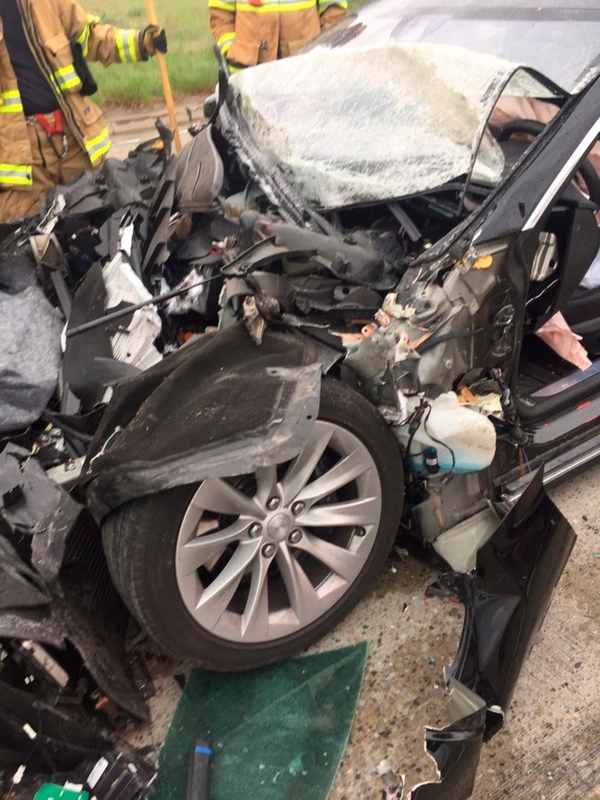 The Tesla Model S crashed into the truck at 60 mph (97 kph) apparently without braking before impact, according to police in South Jordan, a suburb of Salt Lake City. The fire department mechanic truck had been stopped at a red light. The crash comes as federal safety agencies investigate the performance of Tesla's semi-autonomous driving system. The Tesla's air bags were activated in the crash, South Jordan police Sgt. Samuel Winkler said. The Tesla's driver suffered a broken right ankle, and the driver of the Unified Fire Authority mechanic truck did not require treatment, Winkler said. 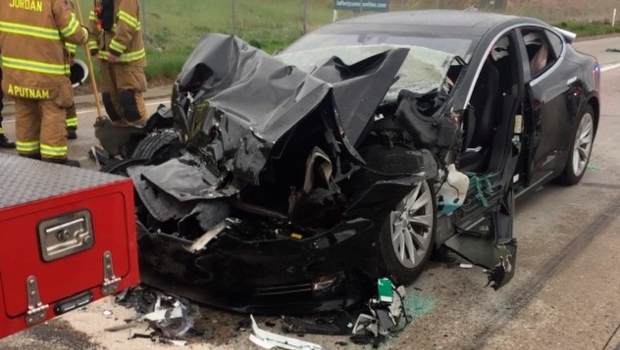 There was no indication the Tesla's driver was under the influence of any substance, and information on what the driver may have told investigators about the circumstances of the crash likely would not be available before Monday, Winkler said by telephone. "Witnesses indicated the Tesla Model S did not brake prior to impact," the statement said. Tesla's Autopilot system uses cameras, radar and computers to keep speed, change lanes and automatically stop vehicles. 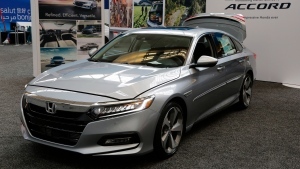 The company, which is based in Palo Alto, California, and has a huge battery factory in the Reno, Nevada, area, tells drivers the system requires them to keep their eyes on the road and their hands on the wheel so they can take control to avoid accidents. "Tesla has not yet received any data from the car and thus does not know the facts of what occurred, including whether Autopilot was engaged," a Tesla spokesperson said in a statement on Sunday. News of the crash came as a top Tesla official who had been the main technical contact with U.S. safety investigators left the company to join rival Waymo. Waymo, Google's self-driving car spinoff, confirmed that Matthew Schwall had joined the company. Schwall had been Tesla's director of field performance engineering, according to his LinkedIn page, which said he served as Tesla's primary technical contact with safety regulatory agencies such as the National Highway Traffic Safety Administration and the National Transportation Safety Board. There was no immediate comment from Tesla about Schwall. Police said they had been in contact with the National Transportation Safety Board about the crash. NTSB spokesman Keith Holloway said he did not know whether the agency would get involved.